God was still at odds with his Old Covenant people. God seems to show his displeasure with those who claim to love him but despise others. When the ark was returned to the city of Bethshemesh, they all rejoiced to see it (1 Sam 6:13). It is possible many people from the towns came to see it like a tourist attraction. The men of Bethshemesh foolishly looked into the ark and God destroyed fifty thousand and seventy men (1 Sam. 6:19). 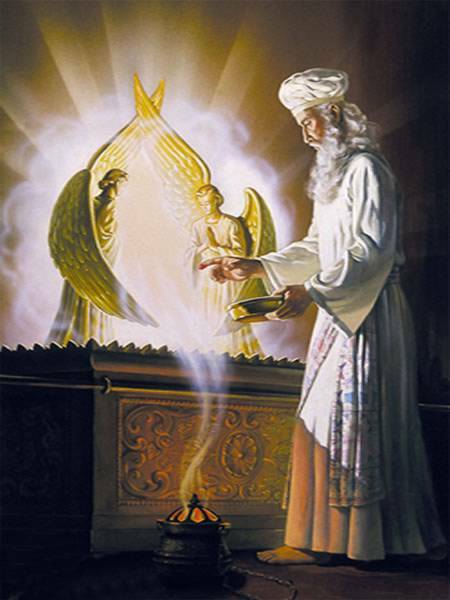 Yahweh shows no favoritism and the ark was not their property just because they said they were religious and it was rightful furniture of where they worshiped. They were just well informed religious people who had chosen the pagan idols of the Baals and the Ashtoreths of their day alongside of the true God and God was going to shut down their religious show. If they were going to be like this, He did not want to be among them and he was for the time content to be in an open field rather than in Shiloh Worship Center. It makes one weep to think he found no place among men. Today, many contemporary worship centers refuse to preach the scripture replacing it with a water downed version of pop theology that appeals to everyone that was ignorant of the word. Is it possible that today, that as we see God’s sentences of justice against wickedness among the sin benighted nations-we feel justified. You see, those who believe they can be saved by their religious practices have a low view of sin and a high view of self. Like Cain, they offer what they do to God like corrupt vegetables and toxic salad and want God to accept what they think should please him rather than what actually pleases him. They do not see how God demands perfection and that perfection is found in Christ alone. Yet, they can never accept salvation by grace alone but they fight it they think it is never enough. Fake Churchianity and the institutional churches of today that do not align themselves with the word of the Lord will face his justice as well because they are not protected by the blood of the Cross. Many institutional worship centers and their life coaches are coy when it comes to releasing the full force of Scripture on the consciences of their hearers. So in the name of being practical they engage people on the basis of quality of life and success rathere than on the terms of the gospel and the new covenant. Christ warns, “Whosoever therefore shall be ashamed of me and of my words in this adulterous and sinful generation; of him also shall the Son of man be ashamed, when he cometh in the glory of his Father with the holy angels.” (Mk. 8:38). We are used to hearing that verse in terms of being a witness of the gospel message to those who are lost. But again that is not completely the case. Backslidden men and churches that are uncomfortable with preaching undiluted scripture, nervous about disclosing what the Bible teaches about Christ are an embarrassment to God and his angels. But imagine something worse happening to people in the worship centers of our day. 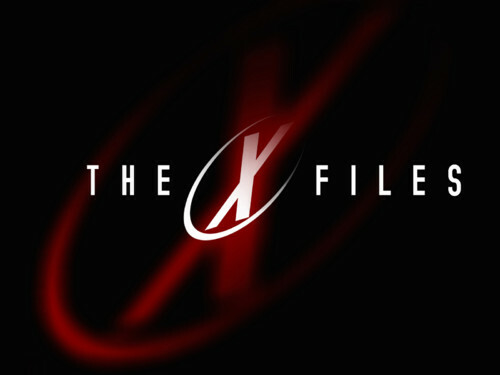 Mulder and Scully show up and see an embarrassed pastor at his wits end because his congregation has rats scampering in the fellowship hall during Sunday school (for the churches who still have it) and unable to sit in their pews due to tumors (for the churches who still have them) during service because it hurts to do so. After a while the pastor and his staff are being confronted by the congregation needless to say, their neighbors and businesses about the rats and the public health concern about the hemorrhoids. They even wear masks and gloves to prevent the R5-H5 virus (taken from the five golden rats and five golden hemorrhoids analogy) to solve their problem. Imagine that in church buildings all over the country-the same problem was spreading even to their missionaries overseas. The story goes on that people do not want to come to church. The only thing the pastors, deacons and elders can do is tell their congregation to just wash their hands until they come up with an inoculation of some sort. It is not that they do not want to sit in church but they want to be able to sit period! So the church leadership must offer some other solution. It would be hard to attract people in our churches in such a condition, no matter the latest program because we would be infested with rats and disease. All our programs no matter how seeker sensitive would go right out the window. The diseased message of American Churchianity has brought a pandemic global spiritual plague because what is being preached across pulpits and endorsed by churches and denominations is not the message of the Bible. Imagine if we had a symbol of God’s presence like Israel did in the ark? Unlike the ark that was stolen in battle, we just put it outside in the church shed. For those of you unfamiliar with biblical types and symbols the ark is referred to as the mercy-seat. It is a type of when Jesus died on the cross. It is the message of Christ Crucified, Buried and Raised Again has been neglected. There is a movement that is out to take all classical Christianity out of the church (except of course some of the religious biblical nomenclature that we can market) and any symbols, the cross, Bibles, hymn books out of the church and set the church up with a stage and video screens. These people use the Bible and the holy things of God for their own motives and they dress up in religiosity and spiritual infomercials. Their goal is to make God and church more palatable to those who still hate God and the gospel. You have to eventually change the message because of the methodology. The message of the cross is too powerful, too untamed for people to handle. The message of grace is too radical, even destructive to people’s lives. The exclusive claims of Christ create such a large gap between other religions and philosophies that it leaves true Christianity diametrically opposed to everything that claims to be truth around it. The message of the Cross refuses to cohabitate nor takes second place to man centered fleshy ideas of church growth and salvation. It is so radical it will leave many worship centers only with a stump left of their fishy, rat infested, diseased message. The Cross is the great leveler of human pride and idolatry. It is too heavy for many! But the cure, the only healer is Christ and his presence among his people. It is the reclamation of the truth of the gospel that is the vital and necessary element for the church today. © 2012 Soul Health Care Ministries. If you use this article tell people about us and where you found it. Don’t plagiarize. The Dagon worshiping Philistines were trifling with the wrong Deity-he was the living God and they had stolen something that belonged to him-the ark, the symbol of God’s glory. 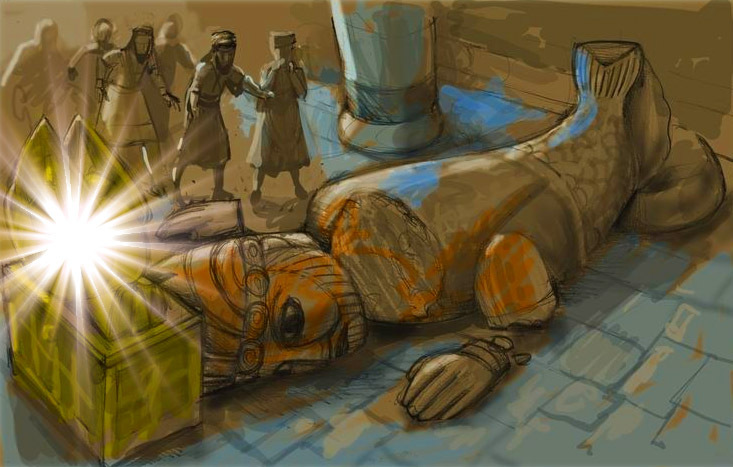 The Bible accounts that after they left the ark next to Dagon, the LORD also knocked down it down during the night. The priests walked in the temple in the morning and must have seen it flat on the ground and started screaming. I am sure it was a big idol so who knows how long it took to set it up again. So the next morning they returned and not only did it fall again, but God decapitated the idol and cut off his hands, leaving “Stumpy” in the dust. This is none other than Divine vandalism, “Then the LORD awaked as one out of sleep, and like a mighty man that shouteth by reason of wine.” (Ps. 78:65). Like a mighty man with a hangover God came out swinging and struck the idol down. The ark created unbelievable havoc in every city it was kept for seven months. Do not forget that the scriptures shows that there were also “mice” (KJV) or “rats” (NIV) that were plaguing the country. They were everywhere. They felt his wrath for months because they were idolaters and were not seeking for him but attempting to use the ark as a trophy of their victory over him and his people. The Bible records, “…the hand of the LORD was heavy upon them of Ashdod, and he destroyed them, and smote them with emerods. And when the men of Ashdod saw that it was so, they said, the ark of the God of Israel shall not abide with us: for his hand is sore upon us, and upon Dagon our god.” (1 Sam 5:6-7). The word glory refers to the weight and honor of God simultaneously. The glory of God was represented as the weight of God’s presence among his people and the world. It could not endure cohabitation with a rival. The glory of God tears down idols, no matter how big man has made them. The true God not only exposes the false but it tears the false down. The glory of God is only seen in Christ. There is no other that will stand next to him. Christ is how we are born again. Christ is how we are healed. Christ is the only answer and he has removed all rivals from his path and sits expecting all his enemies to be subdued under his feet. His hand was hard and harsh upon them. He literally laid them and their idol waste by his heavy hand of justice. The God of Israel was at war with them. They felt the weight of his wrath against them in every city in which the ark was transported. That is a concept that is seen as arcane in today’s preaching, or even abusive: the idea of divine heavy anger! The anger that fell upon Christ on the Cross for our sake was the only way his justice could be satisfied. The sadness of seeing the impenitent hearts of the Philistines who just kept moving the ark and ignoring the powerlessness of their fish god that lied as a stump in their temple? We cannot perceive that those outside of Christ are not protected from God’s Divine justice. How could anyone even mention in this technological yet pagan twenty-first century the wrath of God being revealed against all ungodliness and unrighteousness of men who suppress the truth in unrighteousness?” (Rom 1:18). They decided to send the ark out of the country. In 1 Sam. 6:1 it seems to indicate the left it in an open field for seven months. So many people would rather push the presence of God out of their lives on the cart of rebellion rather than believing for his mercy. They kept the chest out in an open air (Gill) after the Dagon incident probably afraid it would knock an entire city down and hoping somebody (maybe the God who owned it) would take it back where it belonged. It ominously stayed. The Philistines were at a loss what to do. The pagan priests must have been very multicultural and pluralistic back then and studied other religions which they incorporated and syncretized into their own. They decided to make a trespass offering and send it back telling the people and their lords they would be healed if they did so. So the story becomes even more bizarre, when they decided to forge five images each of the rats and five images each of the tumors that represented the five major ruling cities of Philistia and took the ark placed it on a cart and sent it back to an Israeli city called Bethshemesh. Some farmers found it there and were ecstatic to see the ark of God again. I am sure they were wondering what those golden rats were and funny looking images of tumors were doing there next to it. They called for the Levites and they took the ark off the cart and burned the wood and some animals as an offering to God. The lords of the Philistines observed this entire scene taking place, they returned back to their country, but the prescribed formula for healing did not work. There was no indication that they were ever healed or got rid of their rodents it was chronic and lasted all their lives. “And he smote his enemies in the hinder parts: he put them to a perpetual reproach.” (Psalm 78:66). I am sure somebody received a religious pink slip that day. I was reading about a 40 year old Bangladesh farmer, Mokhairul Islam, who killed thousands of ugly rats and collected their tails as part of the national month long campaign to kill millions of those critters, in order to protect crops and cut back on food imports. The farmer won a first prize of a color television for killing some 83,450 rats during a period of nine months or around 10,000 rats a month. That is a lot of rats and one heck of an exterminator. Anyone who has lived in a major city knows that rats are a problem. Rats will ruin anything. They can eat through concrete. They gnaw and chew through wires causing fires. They can even destroy crops. Rats spread disease to livestock and humans contaminating food with their urine and feces. My mind was brought back to the account in the Old Testament in the book of 1 Samuel chapters four through six when the ark of God was stolen by pagans after a battle with the Israelites. God acted in retribution by sending disease, rodents and death (1 Sam. 5-6). But before then, apostasy had diseased the ministry and worship of Israel and now it would spread to even the pagans. We learn of Eli and his sons and co-priests Hophni and Phineas were vulgar, crude and they manipulated God’s people using the things of God for their own advantage and pleasure and, “their sin was very great before the Lord for men abhorred the offering of the LORD.” (1 Sam. 2:17). They made, “the Lord’s people to transgress” (1 Sam 2:24). Even Eli became morbidly obese and made himself fat on the things that should belong to God (1 Sam. 2:29). God reprimanded him for showing contempt for holy things and honoring his sons above the Lord (1 Sam 2:29-30). Like in our day here is yet another example of a whole generation of ministry that had no sense of the justice and holiness of God and therefore could not understand his mercy and grace. They are committing spiritual fraud. It becomes inconvenient to preach such things as the radical sinfulness of man, God’s wrath and judgment especially when you cannot enforce them in your family. If you think that is difficult, just try preaching God’s radical grace, imputed righteousness especially when people want to be in charge of their own eternal destiny and salvation by religion and ritual. Salvation and redemption lose their meaning without exposing the need for them. So you change the message to a lie by compromise and you have neither justice nor grace. Like Eli there are some men that were ordained to condemnation that he will never forgive for, “the iniquity of Eli’s house shall not be purged with sacrifice nor offering forever.” (1 Sam 3:14). All the while because God’s sovereign grace, a young boy named Samuel is growing up right under their noses, in their own home. This shows that God’s salvation is really by grace alone and he was grooming Samuel to serve him despite the hypocrisy of the home and church in which he grew up. Thank God for his mercy. God was sick and tired of their hypocrisy, so he divinely arranges for the Philistines to kill the two young priests and he also allows the ark of God, symbolic of God’s glory and power, to become a spoil of war (1 Sam 4:22). 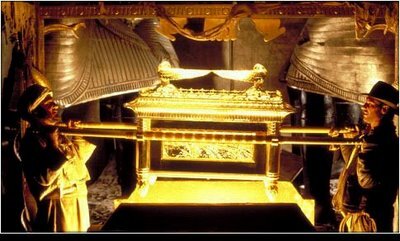 The ark of God, not to be confused with Noah’s boat was a sacred chest in which was stored the Ten Commandments, Aarons rod that budded and a pot of heavenly manna (1 Kings 8:9; Heb. 9:4). It was a symbol of God’s earthly throne from which he spoke (Num. 7:89). It was the central piece of furniture, for the annual ritual of atonement for the nation of Israel’s sins called the mercy seat. 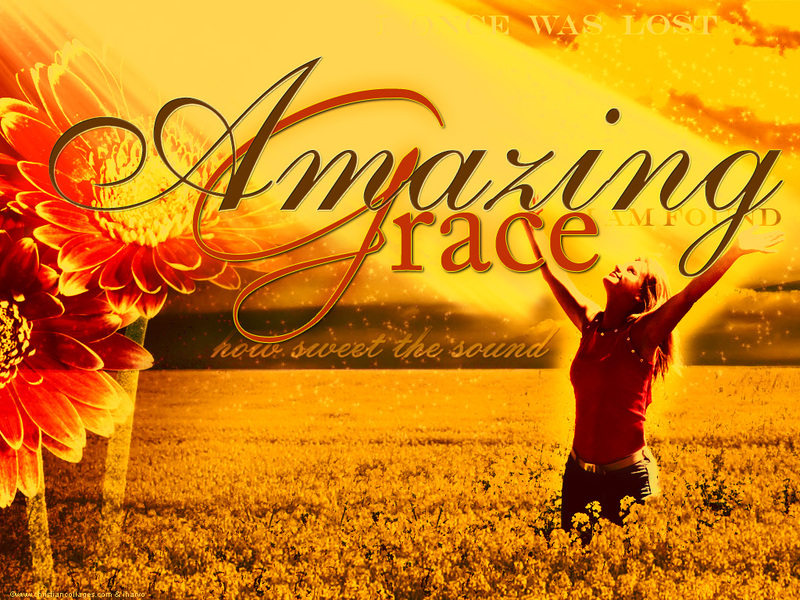 It was unthinkable but the place of God’s presence and forgiveness was embezzled. When Eli heard that the ark was taken he fainted (imagine this if you can) he slumps backward and because he was so fat and old that he broke his neck and died. During this battle Eli had a grandson named Ichabod which meant in Hebrew that the “glory had departed” from the nation of Israel. God’s presence symbolized in the ark had exited the worship of his people. The Bible says, “That he forsook the tabernacle of Shiloh, the tent which he placed among men; and delivered his strength into captivity, and his glory into the enemy’s hand.” (Ps. 78:60). God’s presence has already left; the ark being stolen was inevitable. Such was the Older Covenant. Because of the New Covenant genuine Christians need not be anxious over the presence of God leaving them or the forfeiture of salvation because of bad behavior. BUT notice how quickly God can change the guard and take the positions of power from compromising men who break his laws in the sight of God’s people. that has not changed. The modern day priesthood of Eli and his sons will be removed from their places of service and replaced with prophets and leaders after God’s heart. APOSTASY GONE PANDEMIC 2: MAYBE DAGON HELP YOUR CHURCH GROW? This “Ark of God” was quite a spoil of war for the enemies of Israel and they put it in the temple of Philistine chief deity Dagon who was supposedly the father of Baal. This image of Dagon I am sure was bigger and better than the one that Samson destroyed (Judges 16). I am sure this one was harder to knock down as well. It was a half man-half fish idol that was, “a personification of the generative and vivifying principle of nature, for which the fish with its innumerable multiplication was specially adapted.” (Keil and Delitzsch, Vol. 2, pg. 58). He was apparently a god of multiplication and growth. Like many pastors and churches today they worship the idol of church growth and multiplication selling religion to people with Christian language but at the cost of his glory and his presence. For years, “praying a salvation/sinner’s prayer” was the quick way to get a soul saved but now we are back to the old Babylonian idea of just get’em in “church” by appeals in entertainment, magic shows and relative, up to date motivational speaking. God does NOT add to the church through sociological studies or psychophysics -he grows his church through his word. The book of Acts is not a just historical narrative, it is an example set up as a pattern giving us paradigms for us to follow. It teaches that growth was due to God’s Word, “the word of God increased; and the number of the disciples multiplied… But the word of God grew and multiplied…So mightily grew the word of God and prevailed.” (Acts 6:7; 12:24; 19:20). The apostles knew that it was not their efforts nor their exertion- it was God who gives the increase and it grows as God increases its number and strength (1 Cor. 3:6-7; Col. 2:19). In fact, Paul knew his motivation to toil and even agonize in preaching and teaching was from the dynamite like energy the Holy Spirit gave him, “Whereunto I also labour, striving according to his working, which worketh in me mightily.” (Col. 1:29). We as ministers water and plant the Word like precious seed in the human heart, and God brings the harvest-real church growth, without changing the message of the gospel or its ageless method- preaching. There is yet one hint behind. It is said that God saved these for his love; that is, as I think, for the setting forth, for the commendations of his love, for the advance of his love, in the hearts and minds of them that should come after. As who should say, God has had mercy upon, and been gracious to you, that he might shew to others, for their encouragement, that they have ground to come to him to be saved. When God saves one great sinner, it is to encourage another great sinner to come to him for mercy. He saved Saul, to encourage Saul’s to come to him for mercy; and this Paul himself doth say, ‘For this cause,’ saith he, ‘I obtained mercy, that in me first Jesus Christ might shew forth all long-suffering for a pattern to them which should hereafter believe on him to life everlasting;’ 1 Timothy 1:16. How plain are the words! Christ, in saving of me, has given to the world a pattern of his grace, that they might see and believe, and come, and be saved; that they that are to be born hereafter might believe on Jesus Christ to life everlasting. Why, he tells you himself; I am, says he, the chief of sinners: He says I was, “a blasphemer; a persecutor, an injurious person; but I obtained mercy.” 1 Timothy 1:14-15.